The Kroger Mega Event helps to soften the blow of losing double Q’s in our area. A few great savings for this week are listed here. General Mills Honey Nut Cheerios will be only .49/box for the 12.25oz. box . Use the $1 Q found here. Registration is required which is free. GREAT savings on Campbells Tomato or Chicken Noodle soup. Sale price is .75, then use the $1/5 Campbells Q and pay only .55/can. 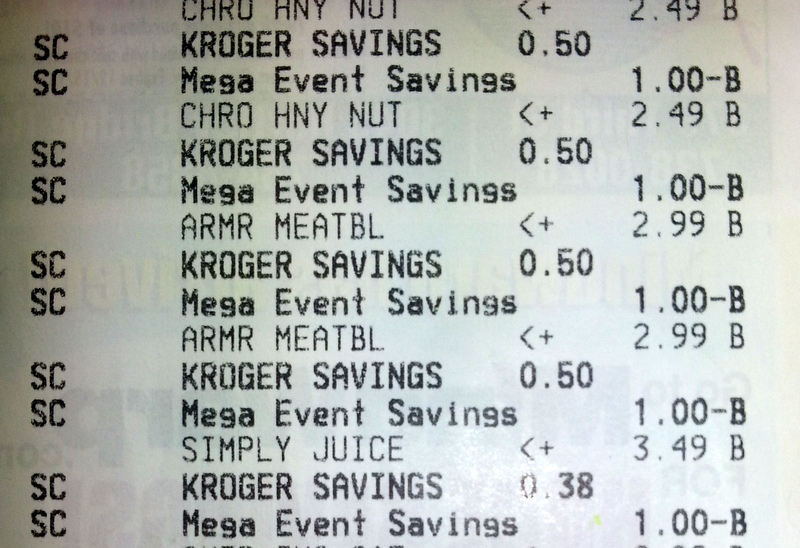 These are just a few examples of savings from the Kroger sale this week. Please share your savings in the comments below.